Haukur Sigurdsson boarded the Auroa in Kulusuk and immediately got to experience to the local traditions when a young local shoot his first whale just outside the 60 foot steel yacht. 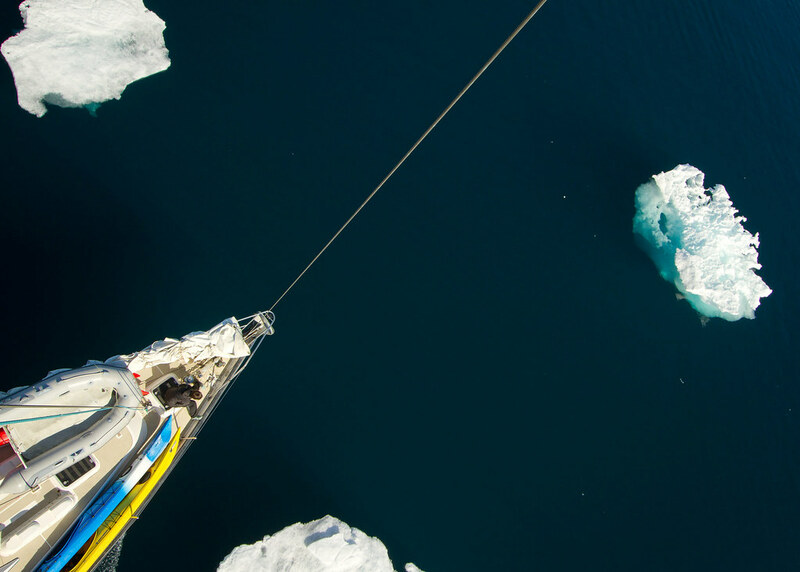 Sigurdsson went with the adventure company Borea Adventures to the fjords on the east coast of Greenland, and he tells a story of ”amazing views of high mountains, glaciers, huge icebergs everywhere, seals and whales. We anchored in fjords and bays where we were all alone, places with names such as Sivinganeq, Ikasaulaq and Akiliaitseq. We walked to the top of mountains, paddled on kayaks, picked mussels, fished for trout, and some swam in the sea. This may be the final mission to Aquarius Reef Base, the world's last remaining underwater science lab. Since 1993, America's "inner space station" has helped us understand the disappearance of coral reefs, train NASA astronauts for space and research sea sponges, the source of two cancer drugs. The discoveries made at Aquarius have opened our eyes to how little we really know about the vast complexity of the ocean. It is one of the planet's most important brain trusts, and it is about to be closed. Four aquanauts have spent the last week living and working beneath the waves off Florida's coast, conducting research that could help future astronauts explore an asteroid in deep space. The adventurers are living 62 feet (19 meters) underwater inside the Aquarius research station — which is about 3.5 miles (5.6 kilometers) from Key Largo — on an undersea mock asteroid mission that began June 11. It's the 16th expedition of the NASA Extreme Environment Mission Operations program, or NEEMO. The main goal of NEEMO 16, which wraps up on Friday (June 22), is to help NASA prepare for a manned mission to a near-Earth asteroid, a key priority for the space agency. In 2010, President Barack Obama directed NASA to work toward getting astronauts to a space rock by 2025, then on to the vicinity of Mars by the mid-2030s. "We are here to do science and to understand things here on Earth before we spend large amounts of money and go out into space," NASA astronaut Dottie Metcalf-Lindenburger, NEEMO 16's leader, told SPACE.com in an undersea interview last Friday (June 15). Metcalf-Lindenburger talked to SPACE.com while outside Aquarius, on a simulated spacewalk. She and the other three aquanauts — European Space Agency astronaut Timothy Peake, Japanese spaceflyer Kimiya Yui and Cornell University professor Steve Squyres — are spending a lot of time out in the water. "We have a very aggressive spacewalk agenda," Metcalf-Lindenburger said. "We are doing two people out the door in the morning and two in the afternoon, which requires at least one person being the crewmember inside speaking to the spacewalkers." The crewmembers' activities during NEEMO 16 focus on three core areas, NASA officials have said: dealing with communication delays, figuring out optimum crew sizes and coming up with ways to attach to an asteroid. "We've looked at tethers that were tightly pulled, and we've used what we call a boom, which is basically a long pole," Metcalf-Lindenburger said. "I gotta tell you, it's a lot of fun." Squyres, who is the lead scientist for NASA's Spirit and Opportunity Mars rovers, is also having a good time on NEEMO 16. In a recent mock spacewalk, he fastened his feet to a small submarine, then was driven around from spot to spot. This technique (with a spacecraft substituting for the sub, of course) could be used to help astronauts explore an asteroid while keeping their hands free. So the exercise was a useful one — but it was also a lot of fun, Squyres said. "I would be remiss if I didn't say something about the cool factor in all of this," he wrote in a NEEMO 16 blog post Sunday (June 17). "At the start of today's EVA [extravehicular activity], I was floating above the bottom, listening to the voice communications in my headset and watching for the sub. Slowly, almost imperceptibly at first, I saw the lights coming toward me through the blue mist. It was like being inside a science fiction movie. And then, once we were flying about the surface — man, I've never experienced anything like it." Aquarius is the world's only undersea research station, according to NASA officials. It's owned by the U.S. National Oceanic and Atmospheric Administration and managed by the University of North Carolina at Wilmington. The research station sits on a sandy patch of seafloor next to coral reefs in the Florida Keys National Marine Sanctuary. So the aquanauts share the water with lots of intriguing wildlife, including colorful reef fish. "I love being out here in the water," said Metcalf-Lindenburger, who flew on the space shuttle Discovery's STS-131 mission in 2010. "Usually we're so focused when we're doing our work outside that we don't get to really appreciate the fish around us. But the fish out here this morning are just super-interesting, and it's really just a pleasure to be out here." However, she stressed the serious nature of the aquanauts' work, and its potential importance to future generations of space explorers. Before sending humans into deep space, "we would want to have a good plan," she said. "We're doing some of that early work, so that we'll have a good plan when we go to explore an asteroid." Experts say there was a malfunction four days before incident. Not all of the Costa Concordia’s control systems were working. 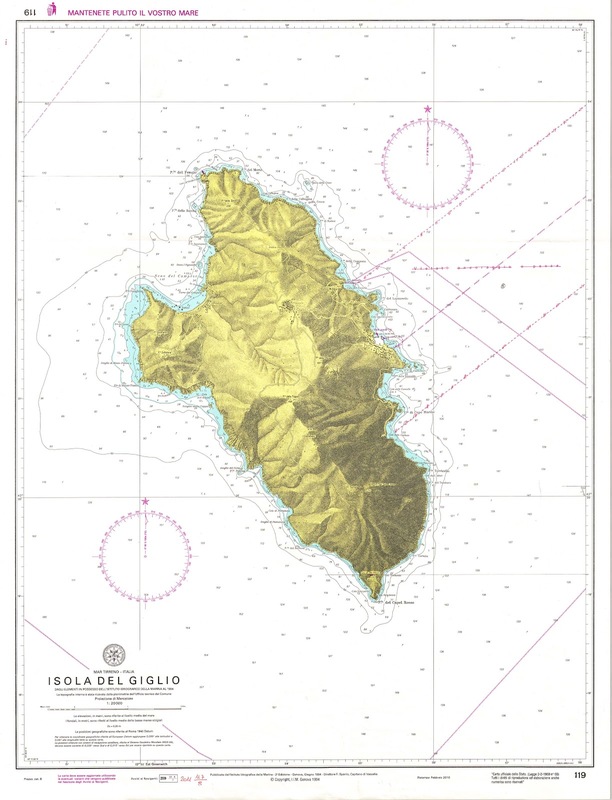 When the ship ran aground on 13 January off the island of Giglio, it was navigating with watertight doors unsealed and charts that were “not approved”. But the most serious anomaly, according to the experts’ findings, concerns the black box. It has been ascertained that the box had not been working since 9 January, four days before the shipwreck that cost thirty-two lives. Experts appointed by the court of Grosseto put this in their report on 4 April, pointing out that they had only been able to examine data from the ship’s computer. They had to work on incomplete evidence since no data at all was recorded after 11.36 pm on 13 January. This means that most of the evacuation of the ship took place “in the dark”, as witness and suspect statements taken over the past few months confirm. But the principal source for this is the email correspondence acquired by public prosecutors investigating the behaviour of Captain Francesco Schettino and the possible responsibilities of Costa executives. Messages exchanged by Pierfrancesco Ferro, head of Costa’s technical department, and the maintenance company show that a decision was taken to defer repairs on the black box until 14 January, when the Concordia was due to arrive at the port of Savona. Now magistrates will have to assess to what extent this influenced the unfolding tragedy, bearing in mind that the navigation code forbids ships from sailing in this condition. One of the documents in the case file is an email from Ferro dated 22 January, nine days after the disaster, to Costa’s director general, Gianni Onorato, who had asked for a report on events. Ferro writes: “I am attaching copies of all communications from the ship, from me and from the maintenance company. Email messages show that the warning came from the ship at 6.02 pm on 10 January. I read the email and forwarded it to the maintenance company at 10.46 am on 11 January. At 2.34 pm on 11 January, maintenance work was scheduled for 13 January at Civitavecchia, or for 14 January at Savona at the latest. The maintenance company subsequently phoned me to say that the work would be done at Savona”. The correspondence makes it clear that this was not the first time the black box had failed. In the email message asking the Fabio Fiorucci srl company to undertake the maintenance work, Ferro writes: “Good morning. Yet again, the Concordia’s VDR [Voyage Data Recorder] is malfunctioning because of the hard disk problem. The situation is becoming quite intolerable and it is unthinkable that so much money should be spent on service after service without obtaining any results”. In reality, as is clear from the reply, the damage was much more serious because it involved the machine’s “capsule”. Experts say that as a result, data was not recorded or filed. The system simultaneously makes a “true copy” of information, recording everything on the ship’s computer. Unlike the black box, however, this computer can be accessed and it will have to be ascertained whether the data have been manipulated in any way. Nor is there any recording at all of what happened after 11.36 pm when the ship was being evacuated, as is pointed out by Bruno Neri, professor of telecommunications electronics at the university of Pisa, who is representing many of the plaintiffs. The navigation code lays down that a ship may not leave port unless its instruments are in perfect working order. Carlo Rienzi from the CODACONS consumer association, which is advising a number of the passengers, has made a formal request to the Grosseto public prosecutor’s office for “further investigations into the failure of the Martec system, which may have caused the death of some passengers”. Martec is the control system that regulates the electrical power supply, among other things. For the time being, it cannot be ruled out that the system’s failure may have prevented the door of one of the lifts from operating properly, causing four passengers to fall to their deaths when the ship hit the rocks. Safety regulations stipulate that watertight doors should remain closed unless permission for them to remain open has been issued by the harbour office. Although Costa has applied for permission, it is not thought to have been granted. The ship’s officers confirm that the doors were open because, as Simone Canessa, who was on the bridge, says in his statement, “this was standard practice during navigation to make it easier for those who were working to come and go”. Recordings from the operations rooms show that the doors were in fact left open. It is no coincidence that forty minutes after impact, Staff Captain Ciro Ambrosio ordered the watertight doors to be shut. The order could not be carried out because the switches were not working, perhaps because the Martec system was out of service. The shouts of officer of the watch Giovanni Iaccarino just after the impact ring dramatically clear: “Water is getting in through the fire doors, water is still getting in through the fire doors”. It is not clear if the nautical charts used indicate the shoal on which the Concordia ran aground. For ship owner Costa Crociere, the captain is responsible for the charts used for navigation. According to the statement made by the ship’s cartographer, Simone Canessa, the electronic charts “were not of the authorised type”. 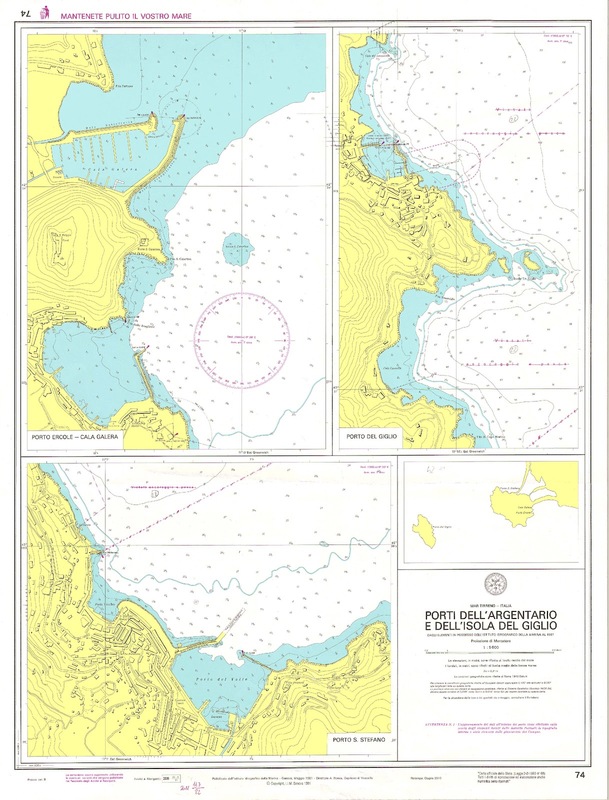 Costa Crociere stated that the ship was equipped with all the paper-based and electronic charts for the planned route, as will be shown during this stage of the trial. It is however the captain’s duty, on the basis of the voyage plan that he himself draws up, to ensure that the ship is equipped with every nautical chart that is needed. A captain who chooses to sail a route different from the planned itinary, is to ensure that the available charts were suitable in scale and accuracy of detail. What Costa Crociere is seeking to do today is sail with its passengers as far away as possible from memories of that awful 13 January and the wreck of the Concordia. It is a commercial necessity but a difficult one to achieve. The company is setting out to answer point by point the possible charges or suspicions over the state of the Concordia, its black box, the watertight bulkhead control systems and the ship’s charts. The company’s line of defence was traced in the first days after the impact with the shoal off the island of Giglio: responsibility for the tragedy lies with Captain Schettino and his decision to take an unauthorised route a few hundred metres off the coast. In answer to questions about the malfunction reported on 9 January, Costa Crociere replies: “The black box was giving an error code that absolutely does not imply that the Voyage Data Recorder (VDR) was not working. This is proved by the fact that the contents of the black box comply perfectly with engineers’ expectations”. By 21 July, experts should have completed decryption of the black box data, which is expected to provide a definitive answer to the questions asked by the public prosecutor’s office. Nonetheless, despite the appearance of an error code, which the company confirms, the Concordia continued its cruise from 9 to 13 January, the day of the tragedy, postponing repairs to its arrival at the port of Savona. But doesn’t the navigation code lay down that the black box should be in perfect working order before a ship can leave port? Costa Crociere replies: “There is no international regulation or convention that decrees that a ship cannot sail in these conditions”. On the malfunction issues regarding the Martec, one of the control systems for the electrical circuits and watertight doors, which remained open during the cruise, company sources merely said “that is not our information” and referred to the black box. Costa executives said: “It is not our information that data from the VDR corroborate this claim, as will be apparent at the end of the special evidentiary hearing that is currently under way”. The watertight doors, their state at the moment of impact and the speed with which they close are crucial issues in the reconstruction of events subsequent to the collision. Nautical charts have also been in the investigators’ cross-hairs from the start since the ones used are reported not to indicate the shoal on which the Concordia ran aground. For Costa Crociere, that is a matter for the captain. There are two kinds of charts, electronic and paper-based. According to the statement made by the ship’s cartographer, Simone Canessa, the electronic charts “were not of the authorised type”. Costa Crociere replies: “The ship was equipped with all the paper-based and electronic charts for the planned route, as will be shown during this stage of proceedings. It is the captain’s duty, on the basis of the voyage plan that he himself draws up, to ensure that the ship is equipped with every other nautical chart”. In other words, if Francesco Schettino wished to tackle a route different from the one that had been planned, it was his duty to ensure that the available charts were suitable in scale and accuracy of detail. The point at issue, maintains Costa Crociere in a final salvo, “is that the ship should never have been sailing that close to the coast”. the design allows researchers to take acoustic measurements, and study meteorology, physical oceanography and air-sea interactions. Researchers have been showing off a 355 ft vertical ship in the Pacific Ocean, as it marks its 50th birthday. "A ship rolls with storm waves, but FLIP is so stable it is almost immobile," Scripps Institute of Oceanography engineer Eric Slater said while describing a FLIP experience during a hurricane. "Waves hit it like a brick wall." FLIP, or Floating Instrument Platform, is owned by the US Navy, conceived and developed by the Marine Physical Laboratory (MPL), Scripps Institution of Oceanography, University of California, San Diego, and flips from horizontal to a vertical position by pumping 700 tonnes of seawater into the 'handle' end. Air is then pumped into the opposite end, causing it to rise up out of the sea. Everything on board is designed to flip along with the ship, including beds, ketchup and other condiments, and even the bathroom sinks. Once the 28 minute transformation from horizontal to vertical has taken place, 300m of the buoy are submerged underwater, keeping the 700 long-ton mass steady and making it perfect for researching wave height, acoustic signals, water temperature and density, and for the collection of meteorological data. FLIP was created in 1962 by scientists Dr Fred Fisher﻿ and Dr Fred Spiess, who wanted a more stable space than a conventional research ship to study wave forms. Overall victory was sealed early on Tuesday morning when Franck Cammas became only the second French skipper to win the Volvo Ocean Race, guiding his Groupama team in to a rapturous welcome from more than 100,000 people in Galway. Needing to finish fourth or better to confirm the closest finish in the race's history - never before had the winner still been unknown with two legs remaining - Cammas's Groupama 4 boat finished second in the ninth and final leg, a short 550-mile sprint from Lorient in France. The result gave Cammas an unassailable 24-point lead over Camper with just the Galway in-port race to complete on Saturday. "This is an incredible moment for me," said Cammas, who follows 1985-86 winner Lionel Pean as the only French winner of the 39-year-old offshore event. "It was always my dream just to participate in this race. The first book I ever read was about this race and it hasn't sunk in yet." It was the first time that France had competed in the race for 18 years and Cammas was considered a big outsider despite a big reputation in his home country as a single-handed and team sailor. Cammas had looked an unlikely winner at the start of the 39,270-nautical mile marathon after making a poor navigation choice in the first leg from Spain to South Africa and finishing well off the pace set by Spanish boat Telefonica, who won the first three legs. Highlights of Groupama's victorious 2011-12 Volvo Ocean Race, starting in Alicante and ending with their triumphant arrival in Galway after nine grueling legs through the world's toughest and most inhospitable seas. But Cammas clawed back the early advantage by the seventh of nine legs - at one point they were nearly 30 points behind Telefonica - to leave the consistent French outfit as favourites to win overall. "The race started badly for us but every single member of the team raised their level and that's what saw us home," Cammas said. A revolutionary "jelly fish early warning system" is to be launched on the French Riviera this week to avoid summer stings as scientists warn they could once again be the bane of bathers off the Mediterranean coast. With its eight thin tentacles, four thicker "arms" and purplish mushroom-shaped bell, the Pelagia noctiluca or mauve stinger has become a regular, unwanted feature of the Côte d'Azur. Despite the use of protective anti-jellyfish nets, thousands of the ancient organisms, whose population is thriving thanks to overfishing and global warming, still make it into swimming areas and are washing up onto Riviera beaches. In recent years, up to 500 bathers have been reported stung in a single day along the coast and all the signs suggest a bumper year, scientists have warned. Spain and Italy have also been struggling to tackle the blight. Contact with its hairlike tentacles that can reach three metres in length causes nettle-like burns that take three days to clear and can provoke asthma and allergic attacks, and in rare cases heart failure. To help swimmers avoid being ensnared in shoals of the poisonous invertebrates, the oceanological laboratory of Villefranche-Sur-Mer is launching a 48-hour internet jellyfish forecast. Two websites partly funded by the European Union – Medazur.fr and jellywatch.fr – will cover beaches between Marseilles and Menton, and from Saint Tropez to the Italian border. 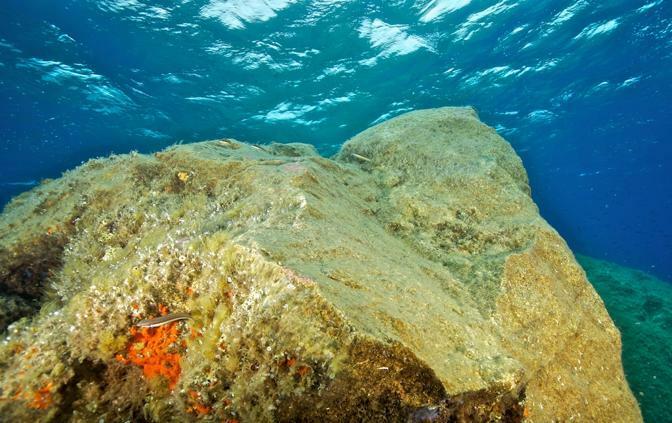 "We're offering a five-point probability rating going from zero (no risk) to five (maximum jelly alert) on beaches of the Alpes-Maritimes region," Lars Sternmann, one of ten scientists working on the project told Le Parisien. " Our research has enabled us to discover that there is a link between the beaching of these jellyfish and the wind and currents," he said. The brainless creatures normally live in the open Ligurian Sea but can be pushed towards the shore at night when they come to the surface. Biologists say their proliferation is in part down to climate change and rising water temperatures, but also a decline in its only real predators – turtles and tuna. The species, which glows in the dark, has also benefited from rising plankton levels and pollution-related nutrients. All the oceans of the planet have seen rising numbers, leading to long-term fears of a "jellification of the oceans," according to Jacqueline Goy, a medusa specialist at the oceanographic institute of Paris. "In the Baltic Sea and China Sea we have seen jellyfish soups forming. " In 2009, a Japanese fishing trawler even capsized when trying to haul up its nets that were full of giant jellyfish," she said.